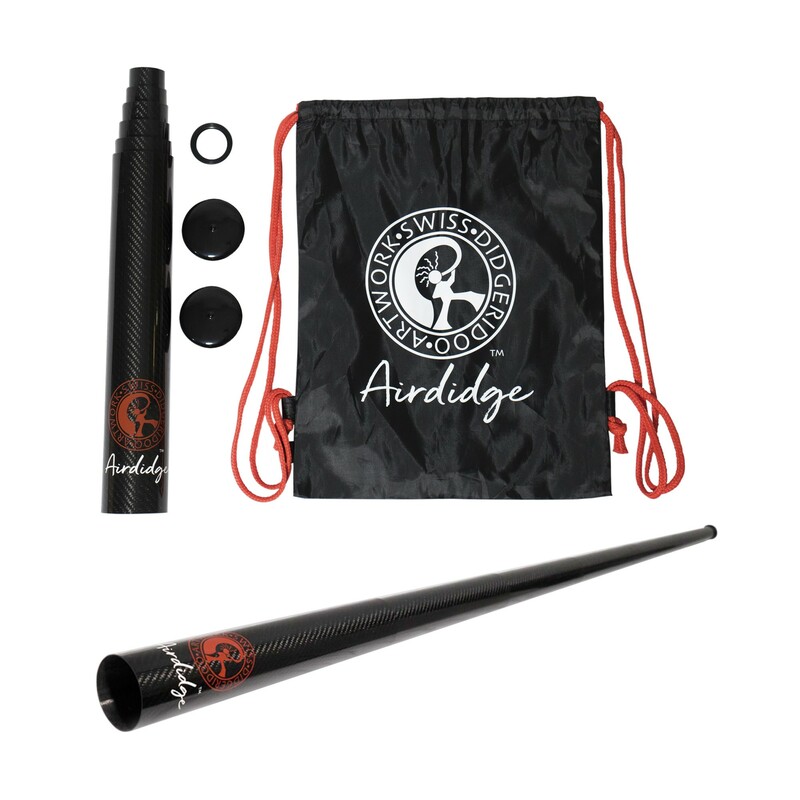 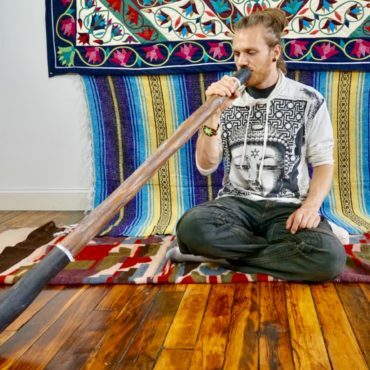 Airdidge is the first carbon fiber telescoping didgeridoo designed for the traveling musician. 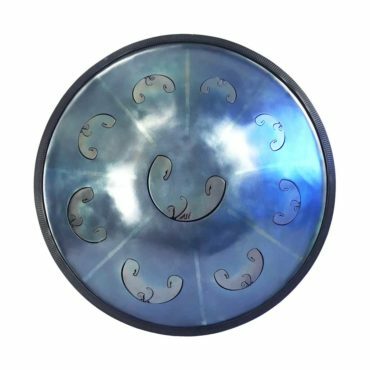 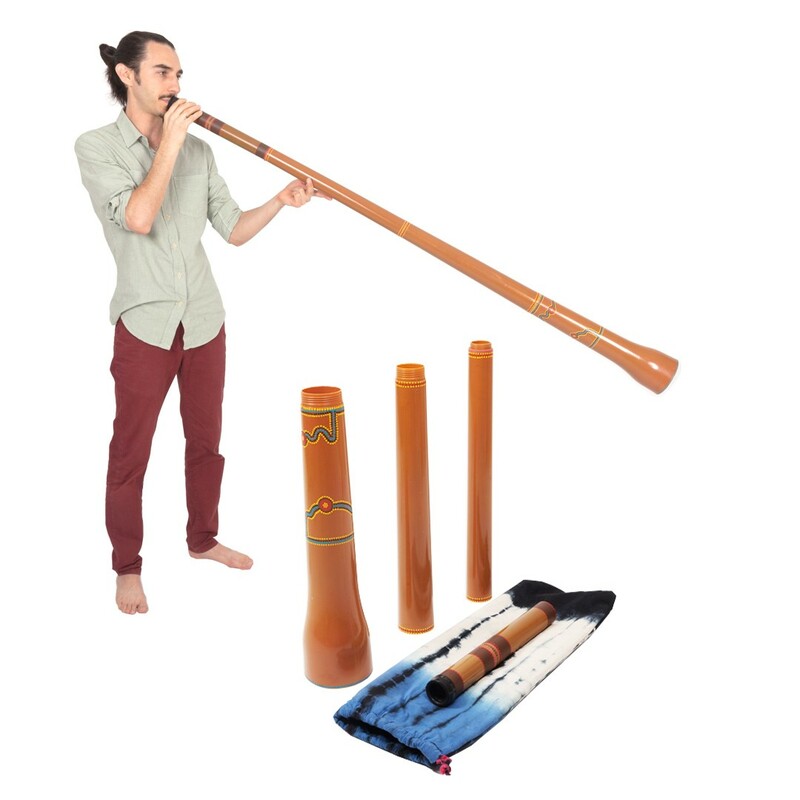 With a weight of 1.2 lbs and a packed length of 14.57 inches, this instrument is the ideal companion for traveling. 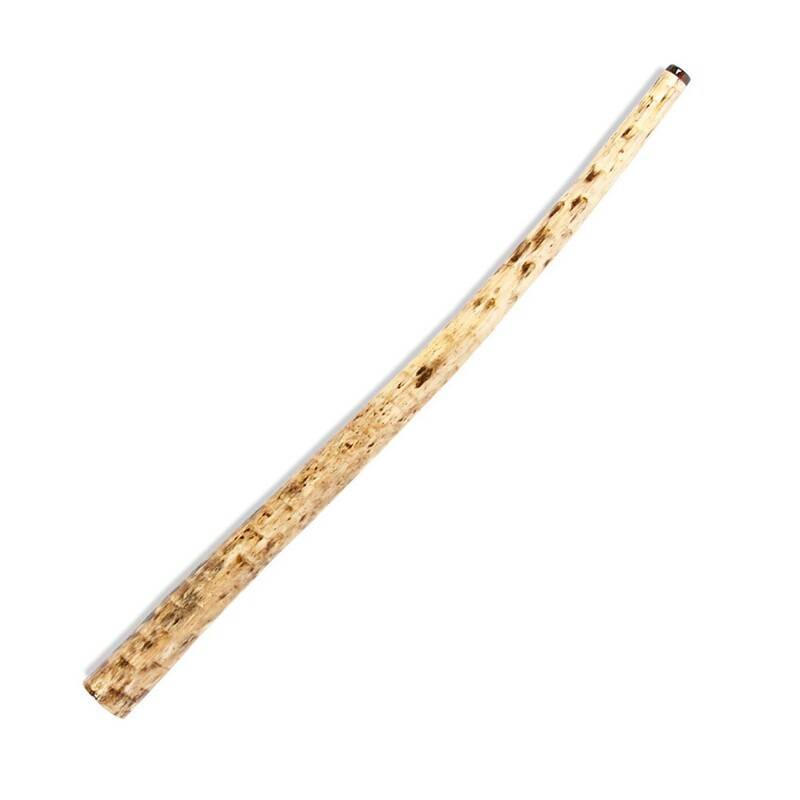 Fully extended, the Airdidge measures 73 inches and plays in the key of Bb. 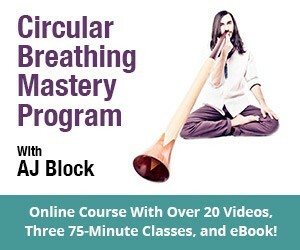 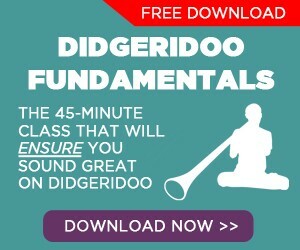 When the largest piece is removed, this didgeridoo plays in the key of C#. 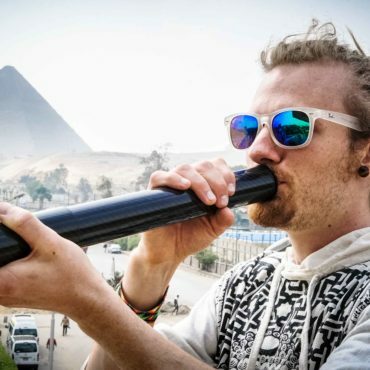 Remove the second largest piece and it plays in the key of E.
This carbon fiber telescoping didgeridoo is designed in Switzerland, super easy to clean, and guaranteed to satisfy. 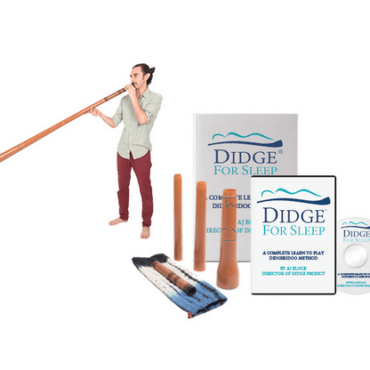 Includes 2 endcaps for travel, plastic removable mouthpiece and travel bag (as shown in photo).